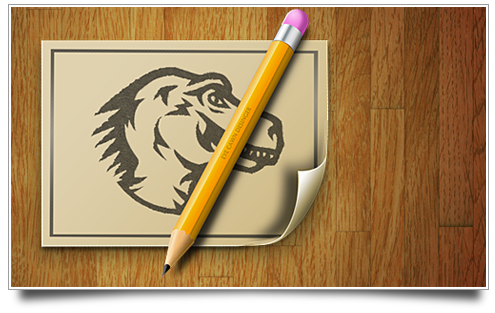 Of course, I watched the Macworld SF keynote yesterday, and apart from noticing the iWork.com icon, I also saw all sorts of nice UI changes and icons. I skimmed through Apple’s new online guided tours and walkthroughs and I’ve compiled a (far from exhaustive) roundup of all the fancy new UI stuff in the iWork and iLife ’09. I’ve divided this post into areas of interest, and not by application, as I have no access to iLife ’09 yet, and I think that the changes and additions to the interface design serve themselves much better to being divided into logical groups that go beyond just the product itself. I did this simple icon drawing of Apple’s just-announced iWork.com service, which was previewed in the keynote on a slide. I based this icon off that. Again, please do not use for anything other than personal computer customization. 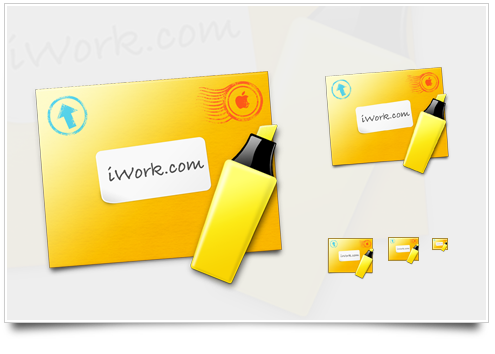 iWork.com’s logo and name are trademarks of Apple Inc.